Instant Remote Support Software. Unattended Remote Access Software. 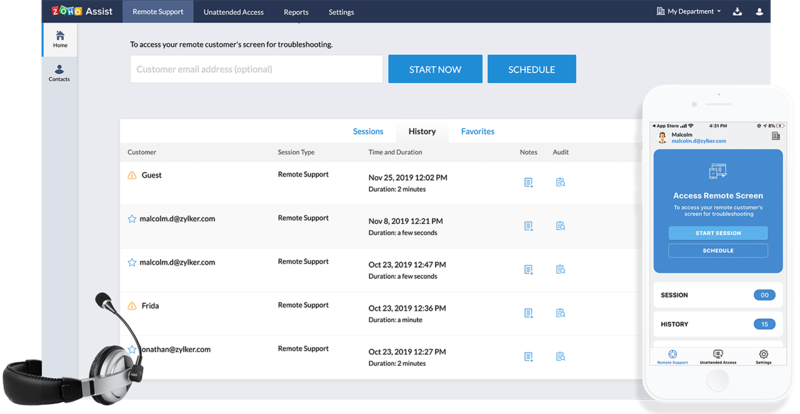 A remote support software helps you support customers on a remote computer easily through web-based, on-demand remote support sessions. 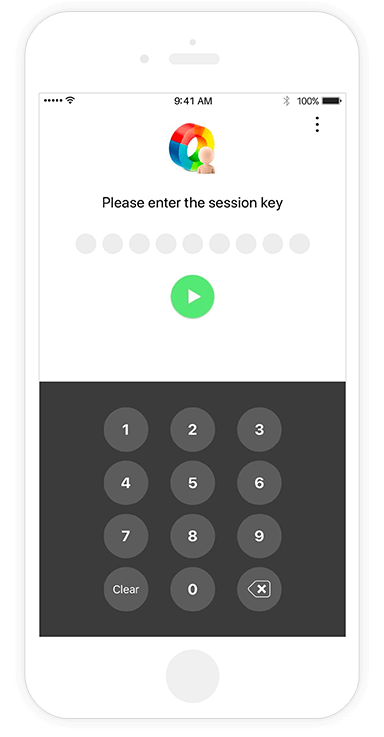 Set up unattended remote access and manage remote PCs, laptops, mobile devices, and servers effortlessly. A few seconds is all you need to establish secure connections to offer your customers remote support solutions. From on-demand remote support to sharing your screen and initiating unattended remote support sessions, here is your one-stop remote support tool. Get started today with one of the industry's most secure, reliable and affordable remote support computer software. We're excited to support #iOS11 from day one. That's not all. 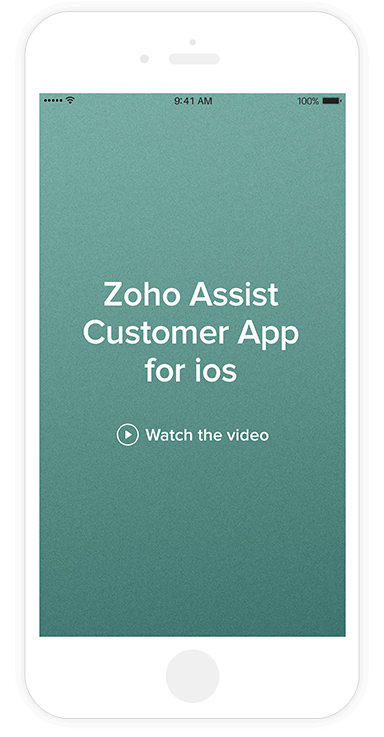 Here is the brand new Zoho Assist Customer app that enables anyone from anywhere to join your remote support sessions instantly and allows you to assist them like never before. 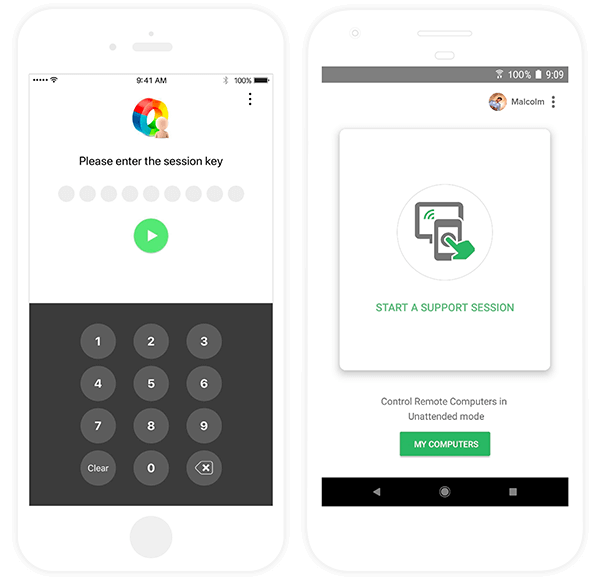 Boost your GDPR readiness with Zoho Assist. Remotely access computers anywhere in the world with ease. With remote access software you can manage remote computers efficiently to improve customer satisfaction. Connect to customers' remote desktops. Establishing remote PC access allows you to troubleshoot faster and ensures your customers are happy. Empower your IT help desk with a remote desktop software to resolve customers' issues remotely. Speed up resolution time and deliver outstanding service. Troubleshoot a remote computer through ad-hoc or on-demand remote sessions with no prior installation. Invitees can also join a session through an email invite. Set up unattended remote access for computers, both inside and outside LAN. Mass deployment options available. Assist support both Windows and Mac. File transfer during a live session will help you send updates, patches, or any type of file to the remote computer. Transfer is completely secure with SSL 256-bit AES encryption. Get your customer widget and embed it on your website or blog. It enables your customers to join your remote support session easily right from your website. Remote access software solution allows technicians to reboot any remote desktop with a single click and reconnect to the session without losing control. You can even reboot in safe mode. Navigate between any number of monitors connected to the remote computer. Assist automatically detects active monitors in use. 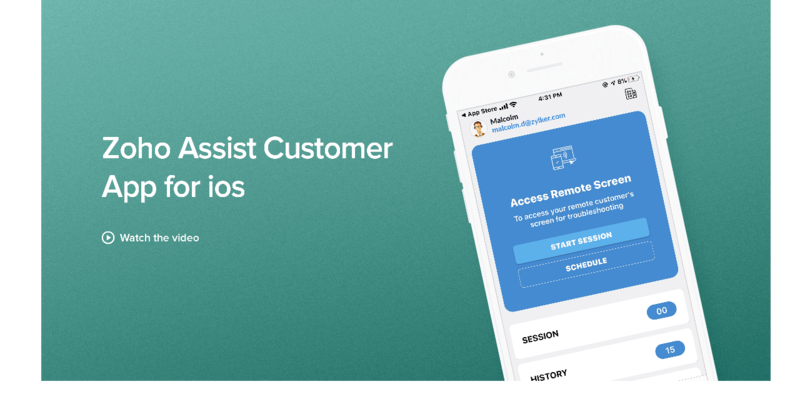 Assist your customers through remote access.